I'd seen this tag, created by Fee of MakeupSavvy, floating around a lot recently and thought it was such a wonderful idea! Seeing as a couple of bloggers were kind enough to give me mentions I thought I'd better share the love myself. WishWishWish, because I was googling Monkey World and this post popped up in my search. I remember I spent the whole afternoon just scrolling through the archives and just thinking 'WOW, this is fun!' I didn't start my own blog until about a year or so later though. Now this one is mighty hard because I have a helluva lot of favourite reads! I'd say go through my bloglovin' for the full list but here's a few of my faves off the top of my head: Lauren Woodward and Trini for their classic, chic, French style that I can only dream of pulling off. Daisy of HOYDEN because she pulls of tricky trends so effortlessly, she makes me want to be a bit braver with my fashion choices. Helen from The Lovecats Inc because I want to steal her coats/denim/shoes/bags, in fact I just want it all. Katie from The Gravity And She because her style is just so flipping cute! I'm not a big reader of beauty blogs but I really love Simply Sarah for honest reviews of products that I'm likely to buy (like I don't care for a review of a £30 hairspray because no matter how amazing it is I'm never gonna spend that much on a spray!) I've been really loving her photography lately too. Parisian To Be and Bonjour Luce are also blogs I really like reading....I love how they write! I think I'm lucky enough to say I have many blogging friends and I think they know who they are! Although special mention must go to Sophie from soinspo, we're lucky that we've been able to meet up which is awesome! I could name so many, basically every blog I read! Although, like the loser that I am, I've bought many things after seeing them on Lucy of Fashion Me Now in the tragic hope that once I put on the same gypsy blouse that she owns that I'd somehow morph into a super-cool blonde as well. Unsurprisingly it doesn't work. Oh to be that woman! 1: Faiiint. Steph always looks so awesome in her gorgeous photos and I love how she always stays true to her own style instead of trying to keep up with trends. She's like this beautiful, dark angel gal which is so cool. Plus she is lovely and has a beautiful husky called Nico, they look so good together! See what I mean? Like I couldn't imagine her with a little girly dog like Freddy haha. 2: Style Coke. I love Kate's blog. It really shows the fun side of fashion, it's just so nice and pretty to look at. Kate has a really lovely way of writing too, I can't really explain but it's just so bubbly and happy...no surprise there though, as she's a total sweetie! 3: Raisin Heart. First of all Hannah is a dog lover so she immediately gets a thumbs up from me! Her blog is a mixture of everything really, mainly lifestyle I'd say and I'm always interested to read what she has to say. And how cute is her blog design? 4: Tea.Three.Sugars. 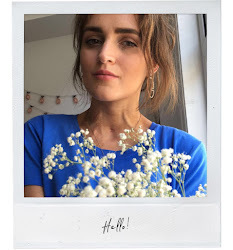 Hannah's blog is lovely, lovely, lovely, just like the lady herself. Her blog is just so cute and it's like she's writing to a friend...you really feel like you get to know Hannah which is so nice. 5: The Style Rawr. Couldn't do a blog love tag without mentioning this blog (they're both lovely ladies although special mention must go to Tara of course!) Jade and Tara both dress a lot funkier than me and they always look amazing. I love that they're a blogging duo as well, I think that's quite unique! I love bloglovin' (you can follow Josie's Journal here if you like!) and I find Twitter is really useful to get links to new posts and new blogs as well. Mine's here, leave me your links! Some bloggers that inspire me life-wise(?) are Rhiannon from Everything But The Kitchen Sink because the girl is like Superwoman! She works so hard and I'm absolutely certain that it's all going to pay off for her. Izzie of Isobel always makes me want to do something creative every time she posts about something she's made. Sam from All I Know Now because she's been through tough times but is so wise and mature about things and she's off to Thailand this year to do volunteering which I'm sure will be an amazing adventure! And Andrea from La Nouvelle Noire because she went off to Paris all by herself to study and she's going to be next Elle Woods for sure! I think anyone who travels to another country to work/study/volunteer are extremely brave, that kind of thing scares me! Apart from talking to lots of lovely, like-minded people it's just fab having my own space to ramble about whatever I like, from CF to fashion to Freddy. I'm not very good at keeping diaries so it's nice I have something online I can look at that's full of memories. I like how it's helped me somewhat refine my style too! Blogs are an endless source of inspiration. Name a blogger that you would most like to see write a book in the future! Jennie of course! With illustrations by Carly. I want to read lots of Violet and Ted adventures! So that's it! Quite a long tag, but there are so many blogs that I love. I'm sure I've forgotten to mention so many favourites, when I look back at this I'm gonna be like 'Nooooo, I've left people out!' so I'll probably do a Blogger Love post or something soon. Have I mentioned any of your favourites? Let me know your fave reads! 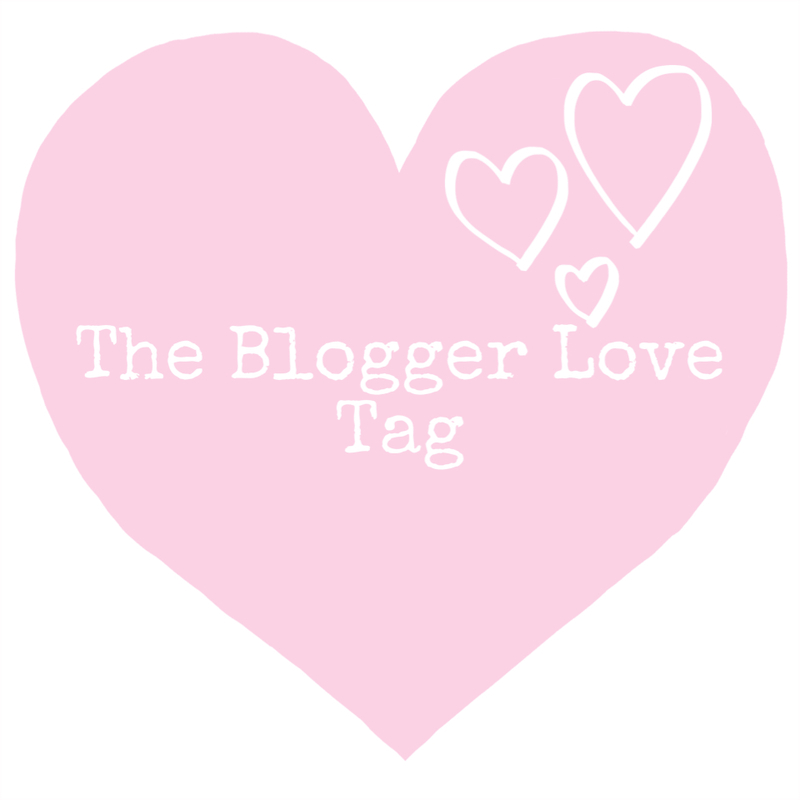 Such a fab post, I really love these tags! I adore Carrie's blog too, that girl has so much elegance it's unreal. Plus her snaps of Las Vegas are the best, makes you want to just hop on a plane tomorrow haha <3 I definitely love most you've mentioned but on the other hand, can't wait to check out some more you've recommended, they all sound like such amazing bloggers! Thank you so much for the mention, it's amazing we've got to meet-- I feel so lucky to have met you! Great to get to know you more. Tara and Jade's blog are one of my favourites at the moment. This was such a wonderful Tag and a great way to learn about more blogs! I am thankful for your comment. Have a wonderful weekend! Raisin heart is a gorgeous blog! Thanks for the shoutout Josie ^_^ it's criminal that you've said such kind words and I haven't even been following you :o I've amended that now!